CHIAVARI, Italy – I made a big mistake this week. 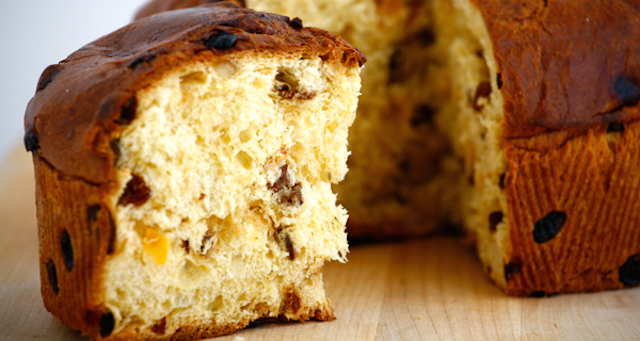 I’ve been talking a little too much about panettone, and now I want some. I actually had the foolish idea that this year I was just not going to buy panettone. I was going to resist. But then the shops and bakeries started piling them up on the counters and . . . well as Mae West used to say, “I generally avoid temptation unless I can't resist it.” I gave in. Over the course of the holidays I usually buy two or three panettone, some to eat, and at least one to use for this super simple, but truly delicious bread pudding. Most of the deliciousness comes directly from the rich and eggy panettone, and the pudding bakes into an extra silky custard with a buttery golden brown top. To make it even more festive, I’ve added a recipe for an amaretto sauce to drizzle over the top. 1. Lightly grease a 13″ x 9″ baking sheet. Arrange the cut panettone in the dish. 2. 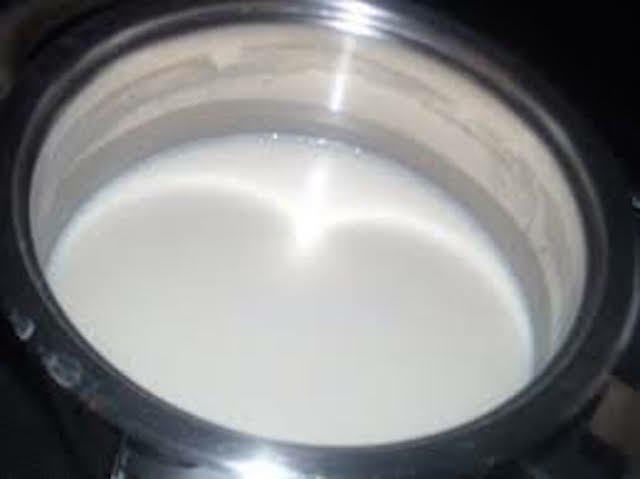 In a large bowl, whisk the eggs, cream, milk, and sugar to combine. 3. Pour this custard mixture over the panettone pieces, using the back of a wooden spoon to press the pieces into the liquid. It is important that they are totally submerged. Allow the bread to soak for 30 minutes. 4. Preheat an oven to 350 degrees. Bake until the pudding puffs and it set in the center, about 45 minutes (depending on the size of the dish that you chose to use). Allow to cool slightly. 5. 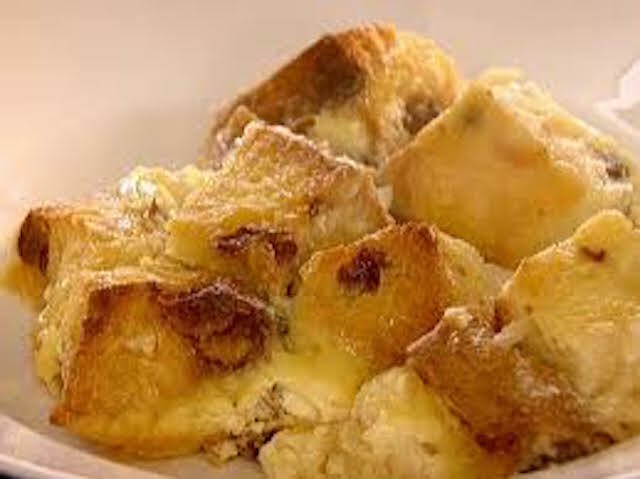 Spoon the bread pudding onto a plate and drizzle with warm amaretto sauce. This recipe comes out best if you use a shallow pan. NOTE: The sauce can be made up to 3 days in advance and stored in an airtight container in the refrigerator. Just pop it in the microwave for a couple of seconds, or warm over low heat before serving.